When Stuart left college in 2007, he aspired to go out to work like his brothers. While Stuart possessed good motivation and a willingness to learn new skills, he would need ongoing support to sequence work activities and to maintain his safety. Transition to Midstream’s social care programme coincided with moving from the family home into supported accommodation, meaning Stuart had to quickly adapt to the demands of young adulthood in both his home and work life. Stuart also needed guidance in social situations and it was important that he attended a service where he could make and maintain friendships. Stuart accesses learning support at Midstream at a ratio of one learning support assistant to six clients. Staff have supported Stuart in the well-established horticulture department by giving visual demonstrations of work tasks. He has been able to replicate these tasks, for example dead-heading plants, with increasing independence. Stuart favours physical and outdoor jobs, especially those in which he can use specialist equipment. He has shown particular skill when using the lawn mower and the pallet truck, which he can now do independently. 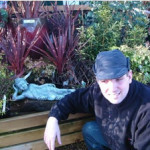 Stuart’s flair for gardening was evident when he became involved in preparing an exhibition for the 2007 Southport Flower Show, which went on to win gold. Working in a group setting has had a positive impact on how Stuart relates to others. In the past Stuart had difficulties dealing with conflicts and would often respond to situations with anger. With guidance from staff, Stuart has developed his ability to be patient with others and to take turns with his peers. In time, Stuart has been able to transfer these skills to his work in the Retail department. Stuart has adopted a leader role when working in the garden centre, and is often responsible for demonstrating jobs for other team members. Stuart has also been able to build on the City & Guilds qualification he began at college by completing work based units with Midstream’s qualified assessors. The practical nature in which the units are approached is well suited to Stuart’s learning style, meaning he can achieve in a working environment at his own pace. Stuart’s experience at Midstream has exposed him to the expectations of an authentic workplace. This has transpired into his home life, where Stuart takes responsibility for following a morning routine to make sure he is organised for his day’s work. Stuart knows it is important to be ready in time for Midstream’s transport service to collect him from home. Although he does not enjoy some domestic tasks, Stuart has shown increasing maturity and an understanding that it is important to keep his bedroom tidy, for example. Stuart has realised his ambition to make good friends at Midstream and is a popular and respected team member. Stuart is always at the forefront during social activities such as the Christmas party and has proven invaluable in supporting staff to welcome new clients to the service.